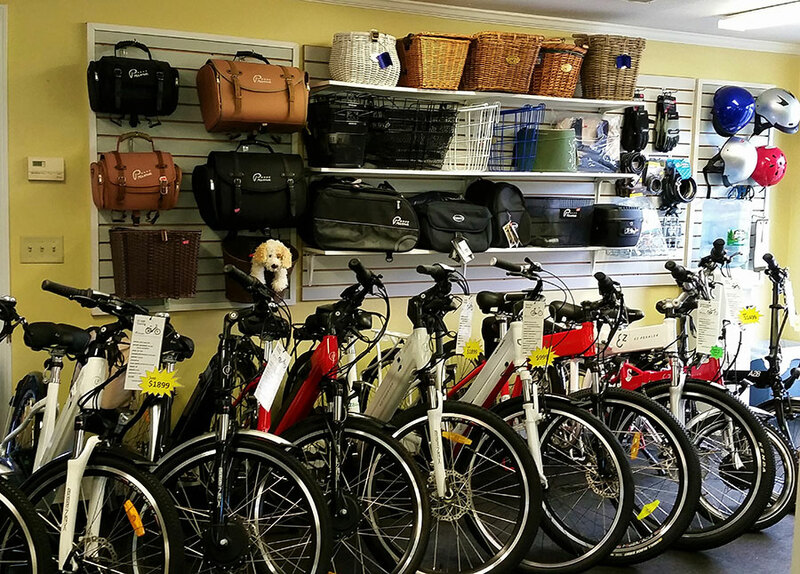 As an entrepreneur adept at tailoring transportation to fit one's preferences, Hemenway looked for something better and found the EZ Bike, which so impressed him that he purchased regional franchising rights, signing on as the nation's sixth retailer to sell the battery powered bike. 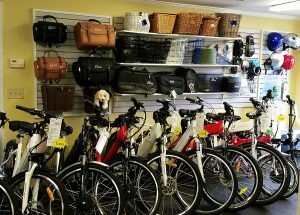 Electric bicycles have existed for more than a century. 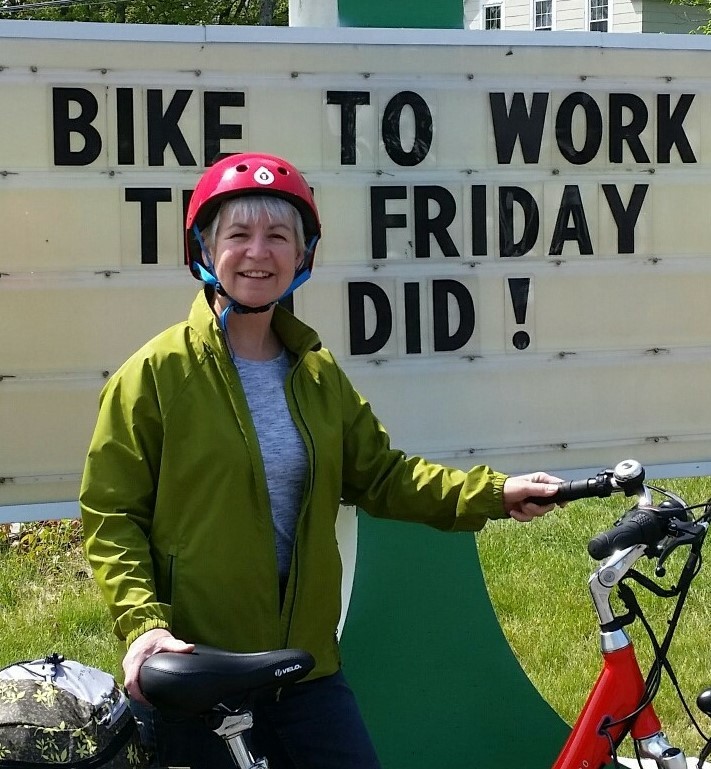 U.S. manufacturers such as Schwinn have sold models for decades. But motorized bikes, long popular in Europe and Asia, have not caught on in this country. Hemenway thinks a simple, efficient design and trends toward exercise and renewable energy can make EZ Bike a product with breakout potential. 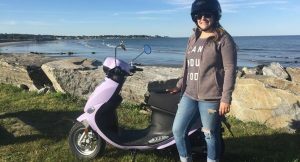 "There have been electric bikes in the past, and Mopeds, and scooters one could also pedal," Hemenway said. "But this new generation rides like a bike: it's different than anything else out there." 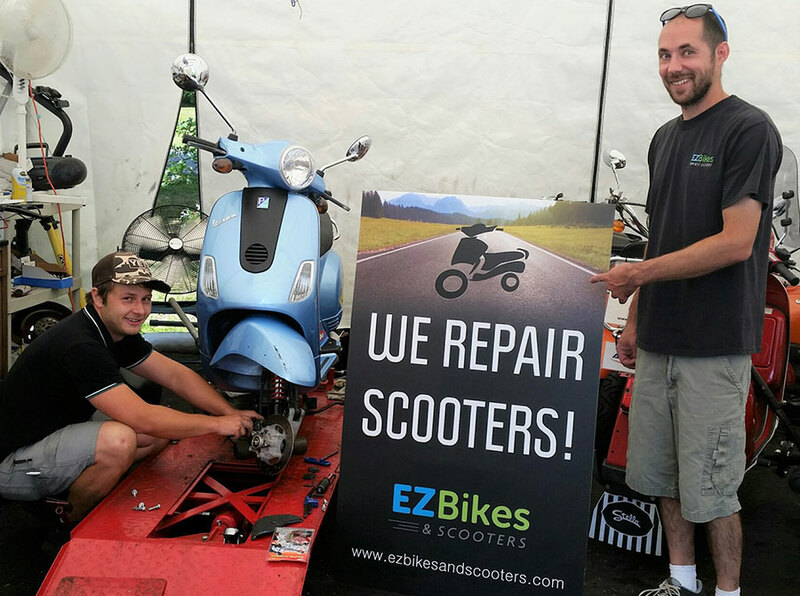 According to Hemenway, EZ Bike's small motor is on the front wheel; the gears are not on sprockets ("You can shift it standing still. 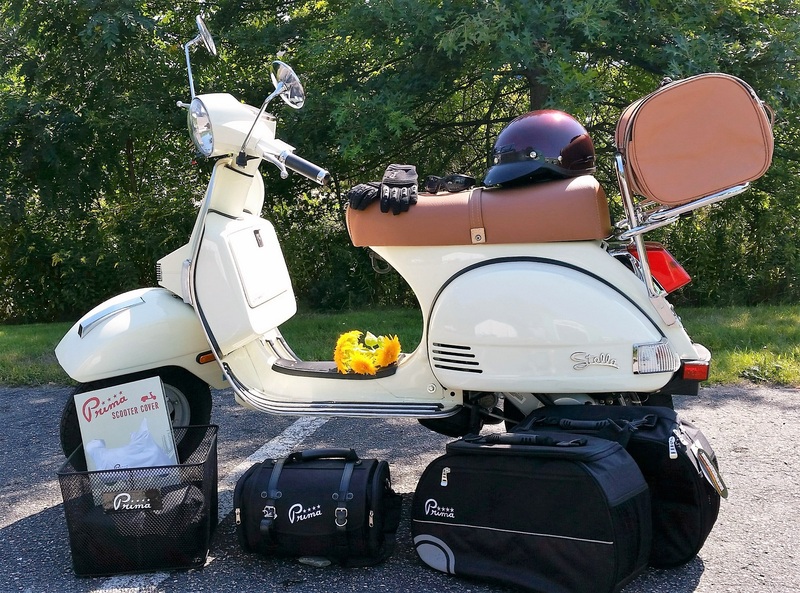 "); it has disc brakes; a lithium ion battery (not lead-acid) that fits snugly under the seat; and has front and rear LED headlights. The battery, which charges in about 4.5 hours, lasts 20-30 miles, Hemenway said. Hemenway's first shipment of the EZ Bikes that are made in China arrived earlier this month. 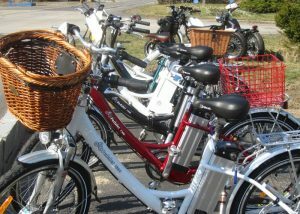 The bikes feature six different styles including fold-up and tricycle models. 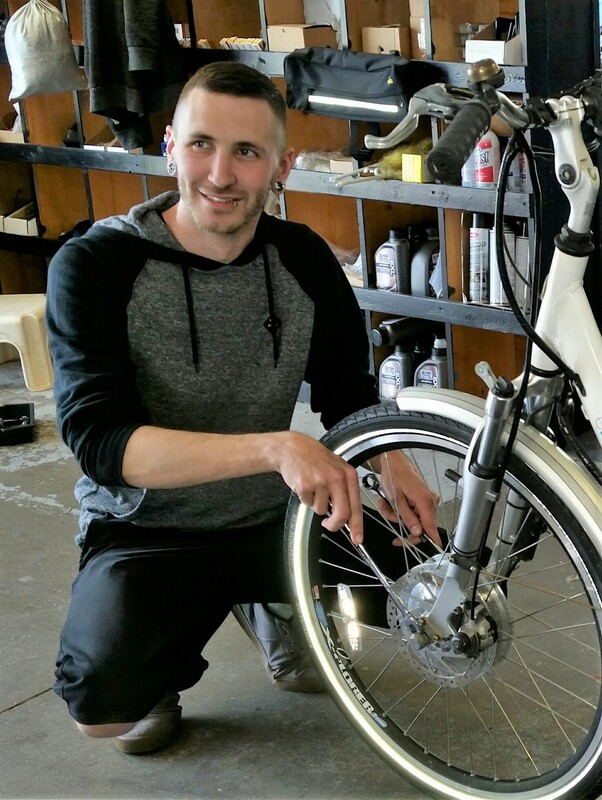 The average cost is about $2,000, a price Hemenway calls "Comparable to any quality bike." Initially, Hemenway will sell the bikes and related accessories at his Auto Sounds of New Hampshire store in Exeter, which he's run for the past 30 years, and will fine-tune his retail strategy, which may include a Portsmouth store, in early 2010. 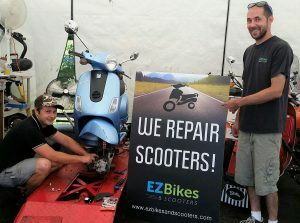 Part of Hemenway's marketing strategy includes visiting potential customer sites (including fairs and festivals), in a specially detailed van equipped with two EZ Bikes. Among Hemenway's target customers are Seacoast hotels, such as the Wentworth by the Sea in New Castle or the Ashworth by the Sea on Hampton Beach. "Rent it out for $50 a day and it pays for itself in a few months," Hemenway said. Someone pulling into the Wentworth Marina who wants to head into Portsmouth can, Hemenway said, unfold their EZ Bike and ride the three miles into town. "There are many applications," he said, from cruise lines to security personnel vehicles. A key segment, Hemenway said, is older riders wishing to exercise and enjoy the outdoors - those who enjoy riding but who don't want to have to get off to walk a bike up a hill. 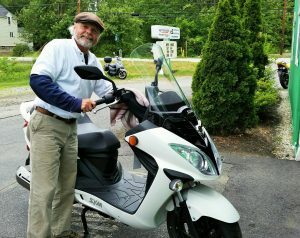 "When you come to a hill, or need a boost, you flip a small switch and turn the handgrip," Hemenway said. "It takes you right up the hill. That extra boost, which can extend a cyclist's commuting range or enable couples at different skill or fitness levels to ride together, is one of EZ Bike's main selling features, Hemenway said. 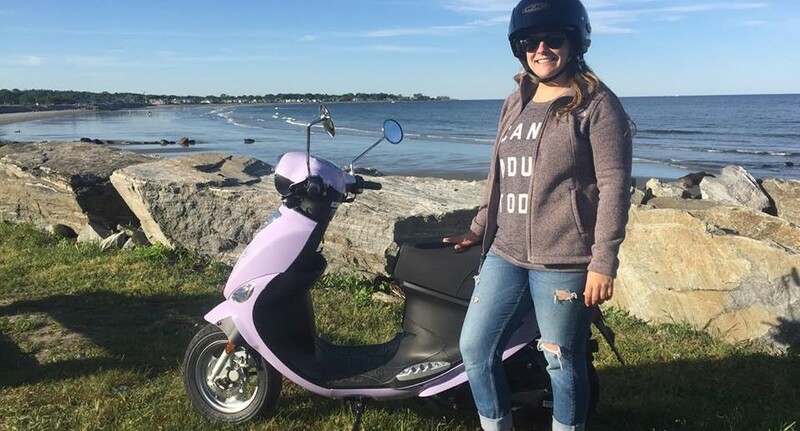 Hemenway also sees a rise in government-funded bike paths, ordinances (as in Boston) prohibiting sidewalk parking of scooters, and rising gas prices as factors that might make the electric bicycle take hold. The challenge is serving a new niche market. 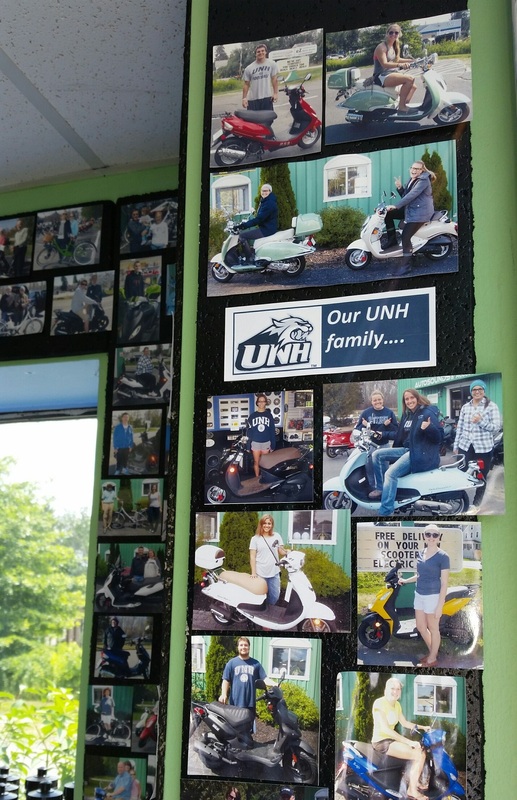 "Bike sales are strong in this country," Hemenway said. "They have a market: the guy wearing spandex with the helmet on with the little mirror on the side. This is brand new." In the end, growth may depend on selling a new cycling aesthetic - one the EZ Bike has given Hemenway and his wife. "We go to a restaurant and park right up front," he said. 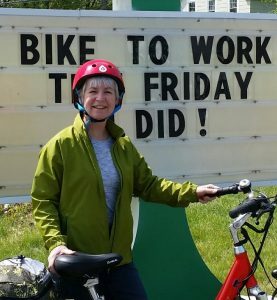 "When you ride a bike, you see a lot of things you don't normally see; you get exercise, but you're not killing yourself."